This season, Sandwich has a great selection of gorgeous cardigans. 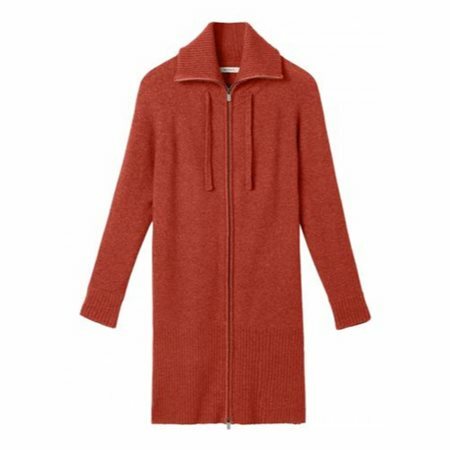 This long cardigan is made from boucle thread and closes in the middle with a two-way zip. The cord tunnel with a high rib collar gives the cardigan a unique appearance. Wear it as a layer over a dress for extra warmth.